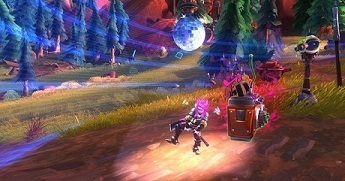 Wild Star: Reloaded: emotes - What are they and what is their purpose? Slash Command Emotes are special chat commands, which are particularly interesting for role players. Because they show what a character just does, feels or thinks. They are always played back in the third person. In Wild Star: Reloaded, emotes created by a slash "/" in the chat window and then with "e (Text)" carries on. The placeholder (text) stands for the action that you want to describe it. In addition to such user-definable emotes there are also a whole list of pre-defined emotes that you all initiates with a "/". In the following list, we show you all preset emotes in wild-Star. The bold emotes are also animated.